Each pack has its leaders known as the Alpha pair or a single Alpha may run a pack ( male or female ). The Alpha pair submit to no one and uphold the peace and law within the pack by constantly keeping aware of the social status of each wolf. The Alpha(s) also keep charge of the territory, ensuring no one intrudes. Alpha’s express their feelings through dominate postures such as raising their tail high like a dominate flag, ears always locked ahead, eyes keenly aware of the surroundings. Alpha(s) also force other wolves into submission, keeping peace within the pack. Without the Alpha(s) there wouldn’t be a pack. There would be no leadership and no one to uphold the rules and enforce them. The Alpha ensures the pack is safe at all times and upholds the law and order. Wolves submit on occasion to the Alpha(s), showing respect and affection to the Alpha(s), considering a wolf pack is a tightly nit group of family members (and in our case friends as well). Betas are the right paws of the Alphas. 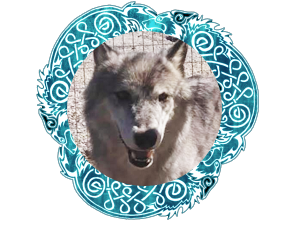 They speak with the authority of the Alphas, and, as such, have an intimate understanding of the direction of the pack and of its history. They are the leaders of the pack in the absence of the Alphas and help guide role play when the Alphas are not or cannot be present. To become a Beta a wolf must have been ranked and must have shown diligence within that rank. Betas are active in the guidance of the pack and actively give advice as to its direction. Betas have the ability to enforce the pack rules both in IC and OOC, and have the ability and interest to spark role play when others are present. Deltas of the pack are wolves who are in the process of being trained to fulfill the potential rank of Beta. 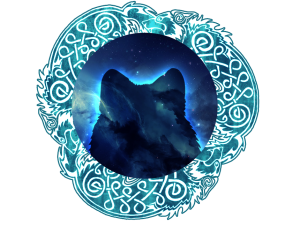 “We are WolfSpirits, now and forever.” You are not lightly taken into the fold and you are not lightly released. A member of the WolfSpirits pack is considered family and, as such, must have displayed devotion and care given to such a consideration. A member of Wolfspirits interacts with other members, assessments, and pledges during times of active roleplay. 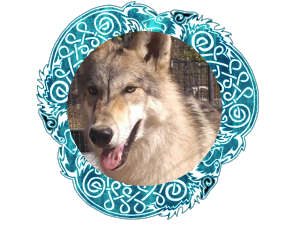 A member of Wolfspirits has the ability and interest to start roleplay when others are present. A member of Wolfspirits gives notice of any extended absence. A member of Wolfspirits is intimately aware of the pack’s rules and is able to enforce them without extreme guidance. Membership is a lengthy process and a milestone once achieved. This, however, does not give way to idling and lack of participation within roleplay. To remain a standing member, one must continue to display the same standards that gave them that right. Members who are inactive for a prolonged period of time (2 months without notification of a leave of absence) and are no longer interested in roleplay will be notified by the Alphas and Betas and potentially dropped to Assessments for reconsideration of membership. Pack pups are either born or adopted into the pack. Pups are ages newborn – 12mo. If a wolf pup is born into the pack it does not mean that they instantly become a member. They will have to go through the membership process.